The home page of your website is most likely the first impression visitors will get of your business. It is important to make it a good first impression, but you also need it to work hard for you. To do this you should include several of the techniques below to help you avoid that dreaded “bounce” rate going up and missed opportunity to convert a visitor into a customer. Create visual impact when the visitor first views you home page. The eye will process a page a lot faster than the visitor can read and a clearly laid out page which flows and has some structure to it will aid in retaining a visitors attention. How many pages have you seen with dozens of separate text boxes, headings, graphics, ads and so on. Most visitors want to find what they are looking for quickly and move on from there. Identify your main points, strengths or products and focus on those on your Home page. The visitor needs to clearly understand what you do or offer in a few seconds. 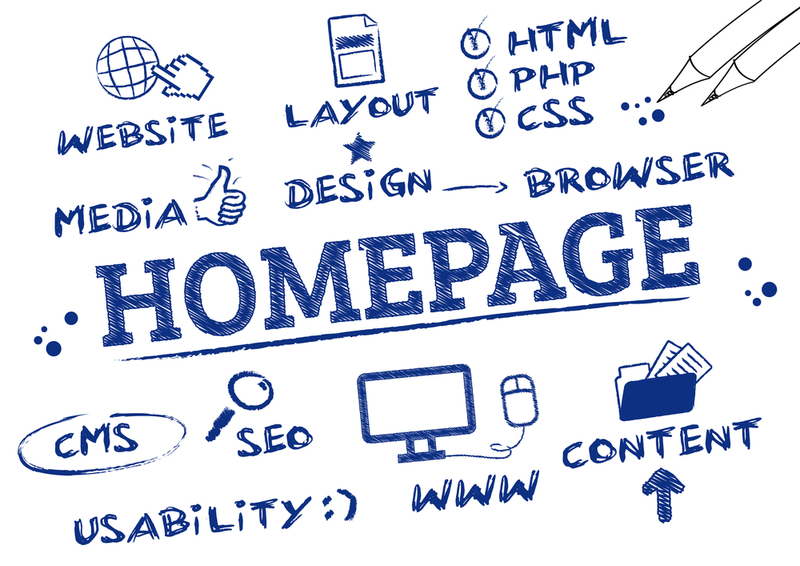 Have your web designer pay particular attention to creating an appealing home page. Also review and asses regularly and change if you are not achieving the desired results. Once you have captured their attention you want them to easily navigate your site. A clear and purposefully navigation structure which with the minimal clicks will get the visitor where they want to go. For example if your site caters for men and women one of the first things you should have is a link to get the visitor into the relevant area for them before presenting them with a large product range. Images that have links should have text describing the image to indicate where they will be taken. Click through text should also be descriptive and ensure that clickable links open pages in the same browser tab tab, only opens a new browser tab when absolutely necessary, to another website for example. This area is becoming increasingly important and you will need to have a social media presence. Your home page should provide links to your social media such as Facebook, Twitter, Youtube and Google+ with the ability to share your content, products and/or services. This also provides visitors a way to stay in touch without having to re-visit your site and also allows you to feed content, promotions, product information through these social media platforms. This is something that is easily done by placing these very recognised Social Media icons on your homepage. Just ensure they are in a prominent position and I would recommend you put them in the same place on every page if possible. Although increasingly people prefer to do business by email they still like to know where the business is they are dealing with and also know that if needed they can easily contact you. You should include your contact information on your homepage (also provide a more detailed contact page) for the above reason but to also cater for those that want immediate assistance. This could include an email link, phone number and a clear link to your Contact page. If you cater for predominantly local customers or businesses then I would recommend your physical address as well. If you have a newsletter or offer things like special promotions or events then a mailing list is a great tool for you use in your marketing. Use your home page to gather names and email addresses (only ask for the minimum information needed) There are quite a few mailing list software programs such as Mailchimp available at a reasonable price which will serve this purpose. Make the sign up box prominent but not the main focus of your home page, don’t make customers click through to another sign up page and you will be far more likely to see your list of contacts grow. Your homepage is the modern day store front window, make sure it does everything it can to ensure that visitors come inside and become customers. If you would like a free quote on a website update, or need a new website contact Twenty07 at support@twenty07.com or fill out our online contact page.